Happy Monday, all! It was a great weekend full of friends, family, soccer and grocery shopping. I’d call it well rounded ;) I was in Pittsburgh Saturday afternoon for my cousin’s baby shower where btw I had the most amazing piece of lavender infused cake, Oh.My.Goodness! (if you’re local to the area, it came form here). Afterwards we had some time to swing by the mall where I was able to make some returns and do a few quick try-ons while I was there. 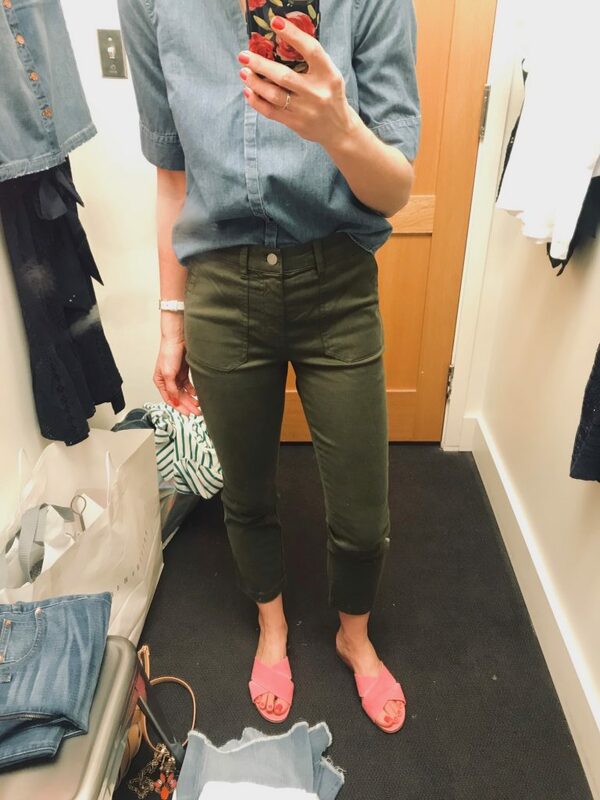 J.Crew was having a great sale (that’s still running through today) and is always one of my favorite stores to get to visit in person. 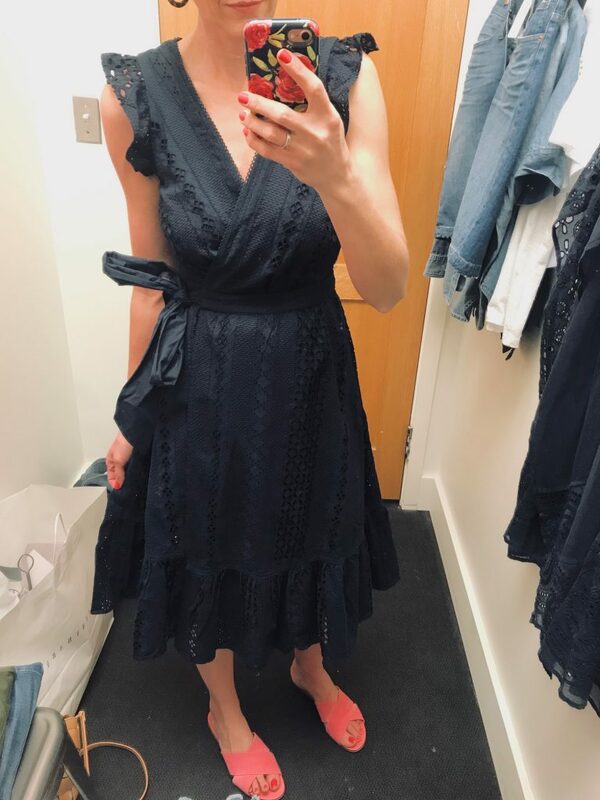 Online shopping is convenient, but shopping first hand allows me to find things I may otherwise scroll right past on the computer screen. These cropped denim were probably my favorite find. 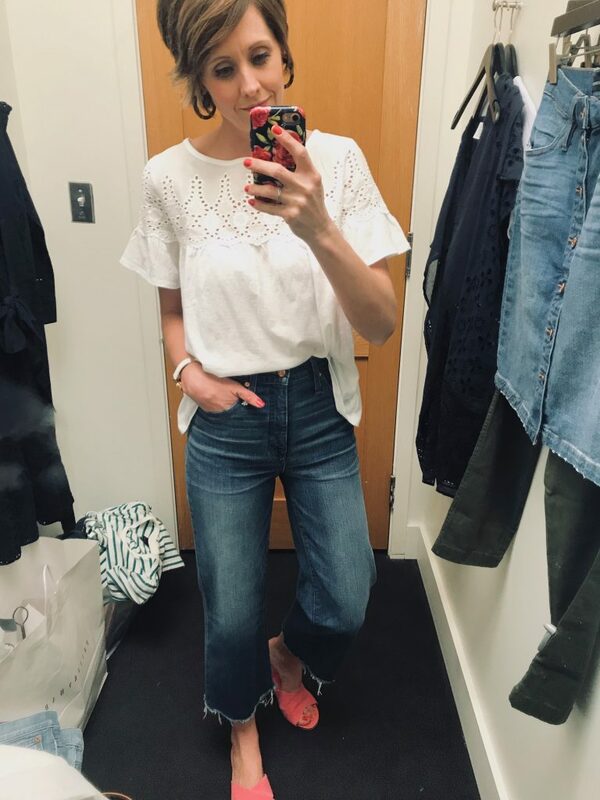 They have a perfect high-rise, a great medium wash, raw hem and were already marked down. I’m wearing my typical size 26. 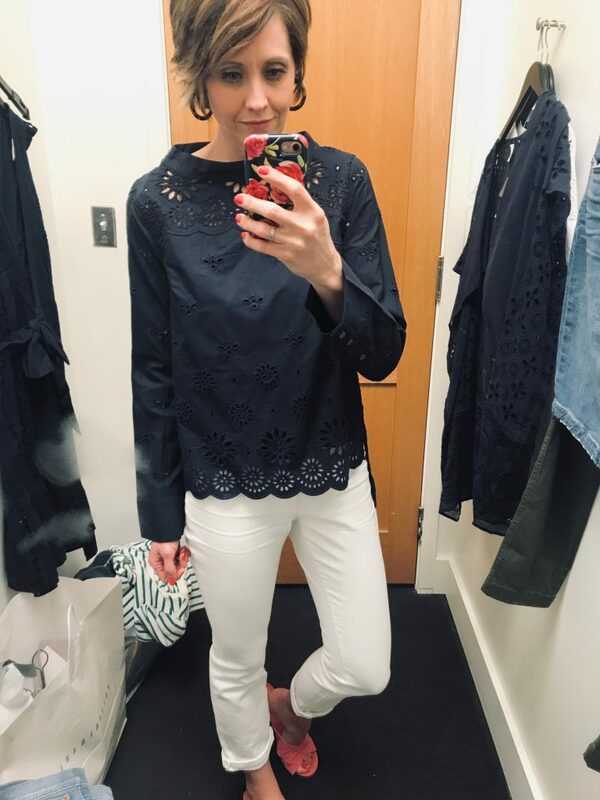 The eyelet top was adorable and comes in a bunch of colors. Would easily go from work to play. 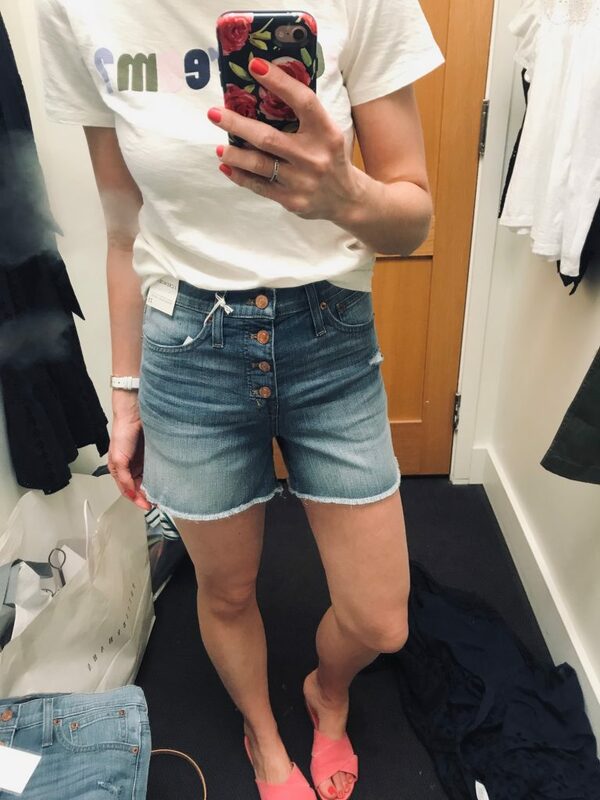 These were cute denim shorts. I love the wash and exposed button fly. They do run big though, I had to size down one size. 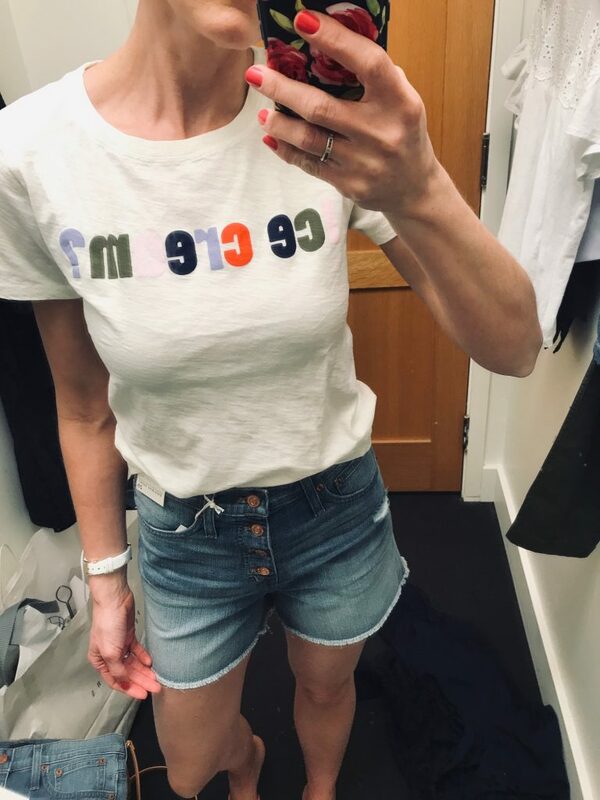 They don’t have this ‘ice cream’ tee online yet, but I’ll be sure to update once they do! 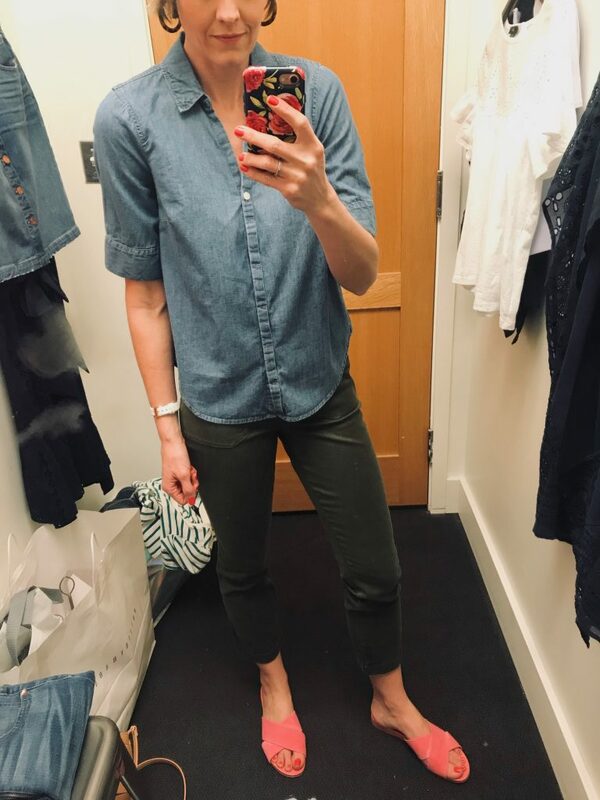 Cute short sleeved chambray top. Fit is TTS (I’m in an XS). This style of pant is always 50/50 for me. A lot of times I end up with a rear gap which always eliminates them for me. But these were clear winners. The fit is so flattering with the perfect amount of stretch and they run TTS. They for sure came home with me. I couldn’t capture the beauty this color pink, but you really should see it in person. I had it on during some Instagram stories yesterday and received a bunch of comments on it. 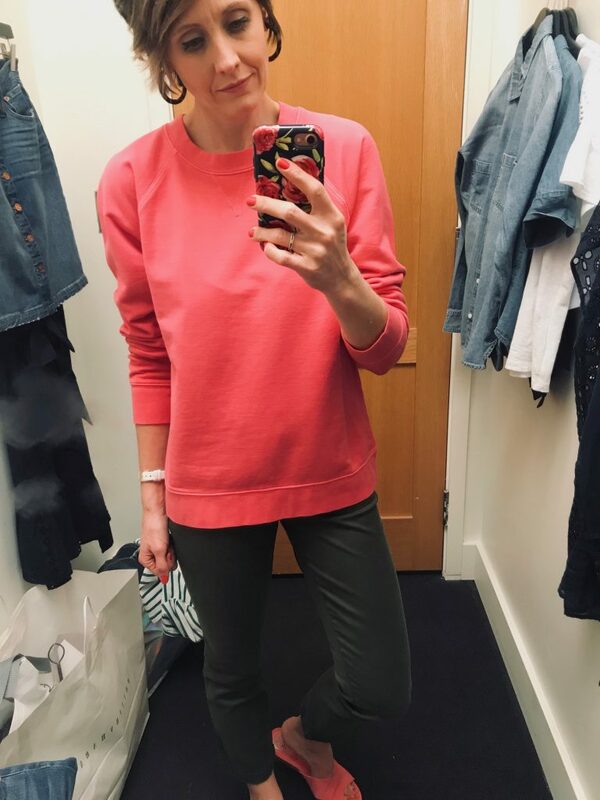 Why is a great basic sweatshirt SO good?! I’m wearing a size S here but bought the XS which still has a slightly oversized fit. I’ve had this same skirt for a few years now and it’s classic, flattering shape never gets old. 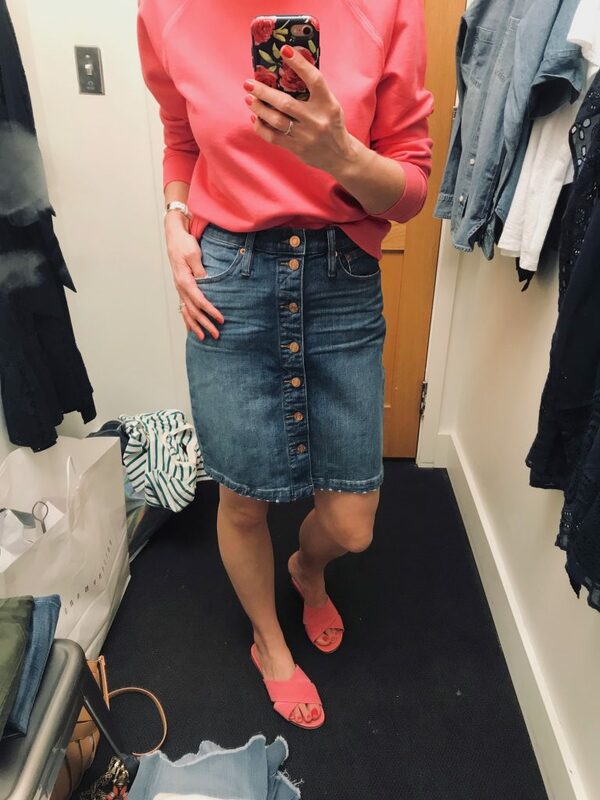 I love it’s length and the exposed buttons add the perfect amount of interest to break up the denim. And lastly I wanted to give this dress a try to see how it fit. I have to say, on me I wasn’t impressed. I loved the detail and the length, but it didn’t do much for the chest area. I felt like it should have either had an empire waist or a wider band where it wrapped in front. Cute dress overall, but it was a no-go for me.